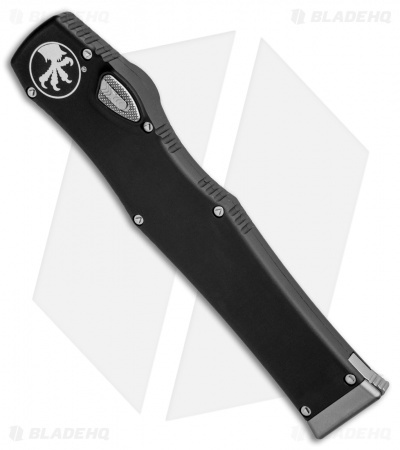 This Halo VI is equipped with a black finished drop point blade with a partially serrated edge. 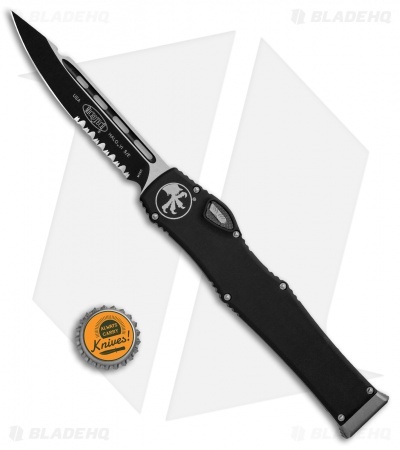 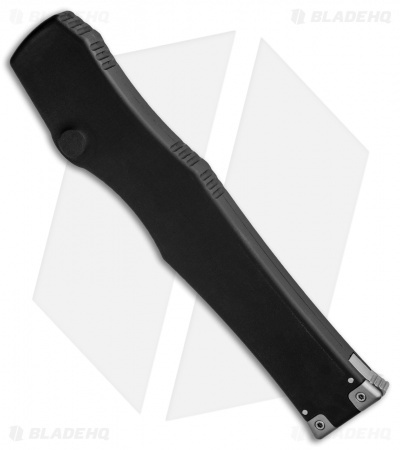 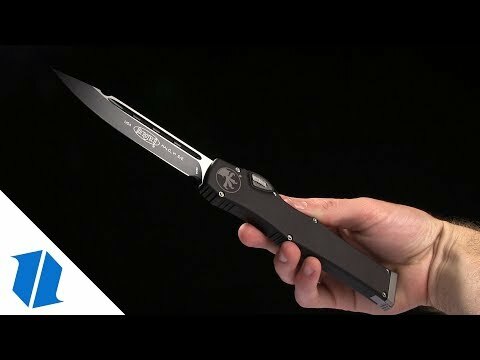 Its handle is made from black Mil-Spec anodized alloy. 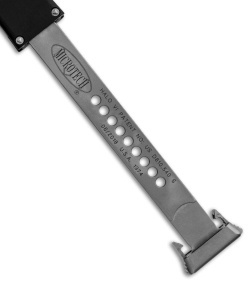 The charging handle is bead blasted, and comes marked with the Microtech logo and date of creation.